To celebrate Christmas, we have lots of preparations: Christmas-themed house decorations, a family party, a nice buffet…While, it's also a good idea to watch a warm and funny Christmas movie with family members after dinner. National Lampoon's Christmas Vacation, one of the most classic Christmas comedy movies released in 1989, is a good choice for family, both children and parents. Here, we will focus on how to rip National Lampoon's Christmas Vacation movie DVD to MP4, AVI, WMV, MOV etc, with DVD movie ripper for better playing on various devices, sharing with friends or storing full movie video for a long time in case the disc is broken or lost. Tip: National Lampoon's Christmas Vacation DVD was released on November 17, 1997. You can purchase this DVD on Amazon, Walmart or rent from Netflix, RedBox etc. 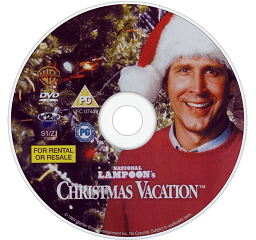 • Rip National Lampoon's Christmas Vacation DVD and other Christmas DVD movies to MP4, H.264, AVI, WMV, MOV etc, for better playback or further editing on PC/Mac. 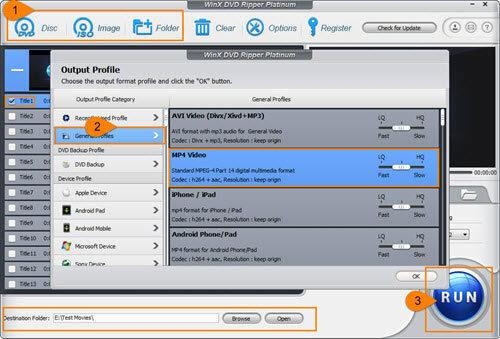 • Convert DVD movies to iPhone, iPad, iPod, Samsung, Huawei, Surface Pro/Book, Xbox, PS3/4, YouTube, Facebook etc, with crisp output video for playback whenver wherever. A powerful DVD ripper can help achieve our mission with ease. WinX DVD Ripper Platinum wins a top rank in the market supporting any types of DVD movies. It is able to remove DVD copy protections, including CSS, region code, UOPs, RCE, Disney DRM or new schemes for latest DVD movies. Built-in 350+ audio and video codec, it can convert DVD to MP4 (H.264/MPEG4), AVI, WMV, MOV, FLV, WebM, AAC, MP3, AC3, iPhone, iPad, Android and more fashionable formats, devices while not sacrificing quality. Super Encode Engine, Hyper-threading Tech and hardware encoders bring an extreme fast DVD ripping speed (about 5 minutes to convert a feature length DVD depending on your computer configuration). It is fully compatible with Windows 10 and lower. A Mac version arrives as well. In the following, we will show how to rip National Lampoon's Christmas Vacation movie DVD on Windows PC with this WinX DVD ripper. The user guide of Mac version is similar. Preparation: Download and install WinX DVD Ripper Platinum on your computer. 1. Insert National Lampoon's Christmas Vacation DVD to DVD-ROM. Launch this WinX DVD movie ripper and hit DVD Disc button to load DVD. Also, ISO Image or VIDEO_TS folder can be used as source for ripping. 2. Seconds later, DVD info and title list will be shown. Generally speaking, main title will be checked automatically. If you want to rip other title, check it manually. Meanwhile, Output Profile window appears. There are several categories provided, PC/Mac General Profile, Device Profile, Web Video Profile etc. Select desired format from certain category, for example MP4 Video encoded with H264+AAC from General Profiles as output. Click OK.
3. If necessary, browse to set a destination folder. Next, Click RUN button to start ripping National Lampoon's Christmas Vacation DVD. After the ripping process is completed, you can watch National Lampoon's Christmas Vacation full movie on computer, laptop or transfer to iPhone, iPad via WinX MediaTrans, a piece of great mobile transfer software for a flexible enjoyment during a Christmas journey. 1. Full movie video of National Lampoon's Christmas Vacation is available on YouTube, iTunes, Amazon Video, Vudu and Google Play Movies & TV. You can purchase it on those video streaming services. Free download the fastest DVD ripper – WinX DVD Ripper Platinum – to rip and convert any (Christmas) DVD movies/TV shows to MP4, AVI, WMV, MOV, iPhone, iPad, Android, Windows Phone etc, with crisp output video. It can access to all DVD copy protections helping you copy protected DVD movies hassle-free. How to Rip A Charlie Brown Christmas DVD/Peanuts DVD to MP4, AVI etc.